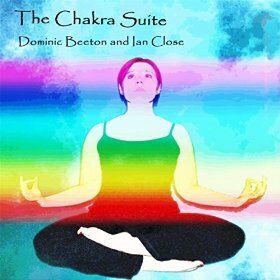 This album contains 2 opening tracks Transcendence and Flute Meditation to set the scene for The Chakra Suite, a suite of 7 tracks designed to open up and heal each of the chakras in the body starting with the crown chakra followed by the throat chakra, heart chakra, solar plexus chakra, sacral and finally the root chakra. Each chakra is composed on a different note starting with B (crown chakra) and descending down the scale G (throat chakra), F (heart chakra) E (solar plexus) D (sacral chakra) and G (root chakra). The album ends with the track Ageless to place the final healing peace on the listener. The music was channelled and was composed tapping into divine inspiration. It features Ian Close on EWI , Soprano Sax and Alto Sax and Dominic Beeton on keyboards. This is Dominic and Ian's 2nd album together and represents a departure from the first album Essence also released on CD Baby which was more jazz based. Perfect for meditation or reiki healing and also a perfect background ambience for the stressed individual. Namaste. Click here to download or preview album tracks. The album is also available from iTunes, Amazon, Google Play, Spotify, Deezer, Tidal, YouTube and many other digital platforms.